In case you missed it, it’s all over the news. Even Forbes.com reports on to ongoing growth of the transport trucking industry, which, with the exception of 2009, saw healthy sales increases in each of the last seven years. But, when any industry sector grows, it’s always difficult for each segment of that industry to scale with the overall growth. And the trucking industry has traditionally had a shortage of qualified drivers. The current driver shortage is one of the largest in recent years with an estimated 30,000 to 35,000 unfilled driver jobs in the U.S., according to the American Trucking Association. In Canada, the Conference Board of Canada released a study that showed the country could face a shortage of 30,000 drivers by 2020. So what’s a transport trucking company to do? Offer Better Compensation- We thought we’d start with what might be the least popular option for companies trying to reduce costs. But don’t think of better compensation as an added expense, but a cost reduction.Why? If you offer better compensation than your competition, it can translate into lower costs elsewhere in your business, including lower recruitment costs, less driver turnover and lower training costs as you attract more experienced drivers. 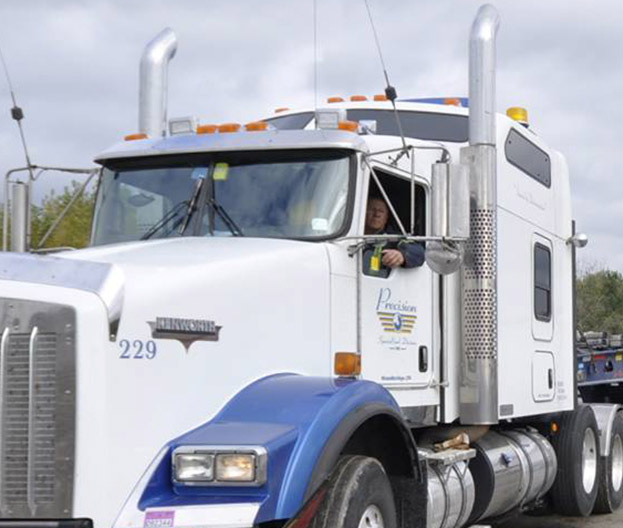 Get Friendly with Recruiters and Training Centres – The better your relationship is with the organizations that educate and find jobs for truckers, the more likely they will be to funnel drivers your way. Gear Up for Younger Drivers – The new generation of truckers are looking for more convenience and comfort. This includes better equipped trucks with improved sleeping cabins and automatic transmissions. Regardless of what you choose to do to mitigate the impact of the driver shortage on your company, perhaps the best tip of all is to start as soon as you can. Those companies that are best prepared will be least affected.